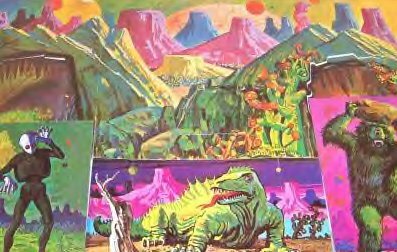 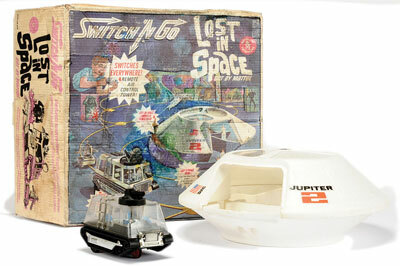 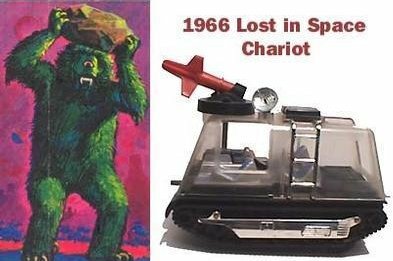 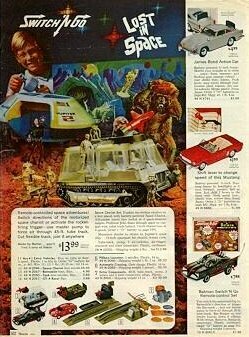 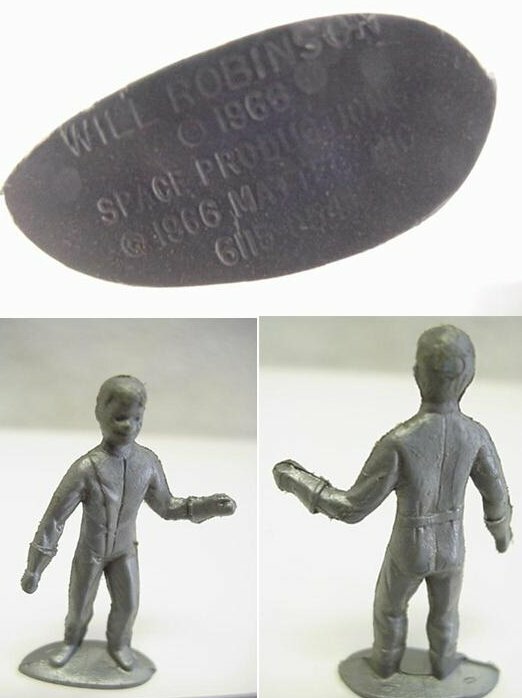 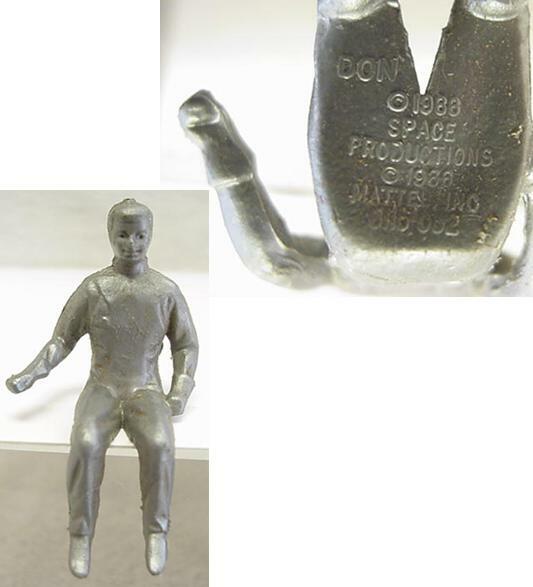 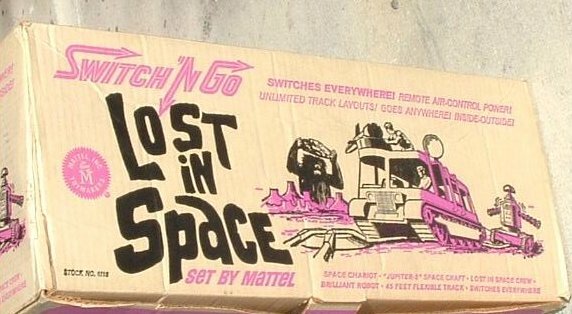 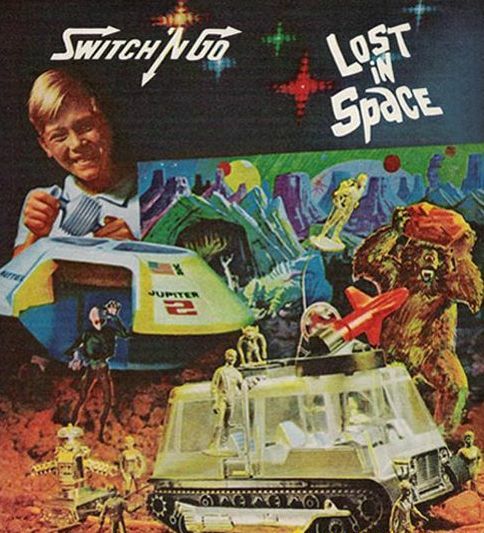 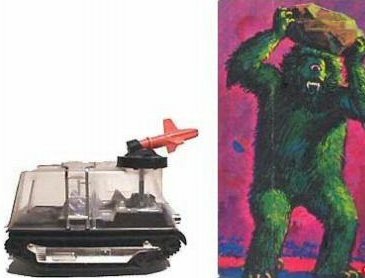 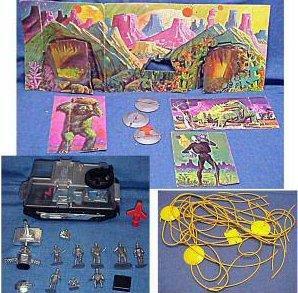 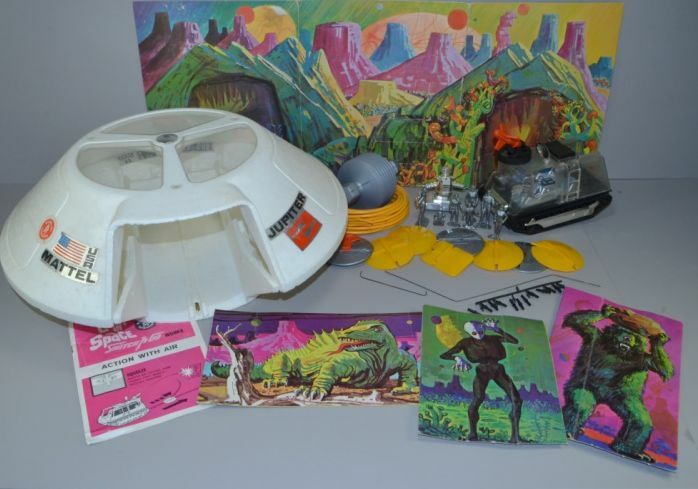 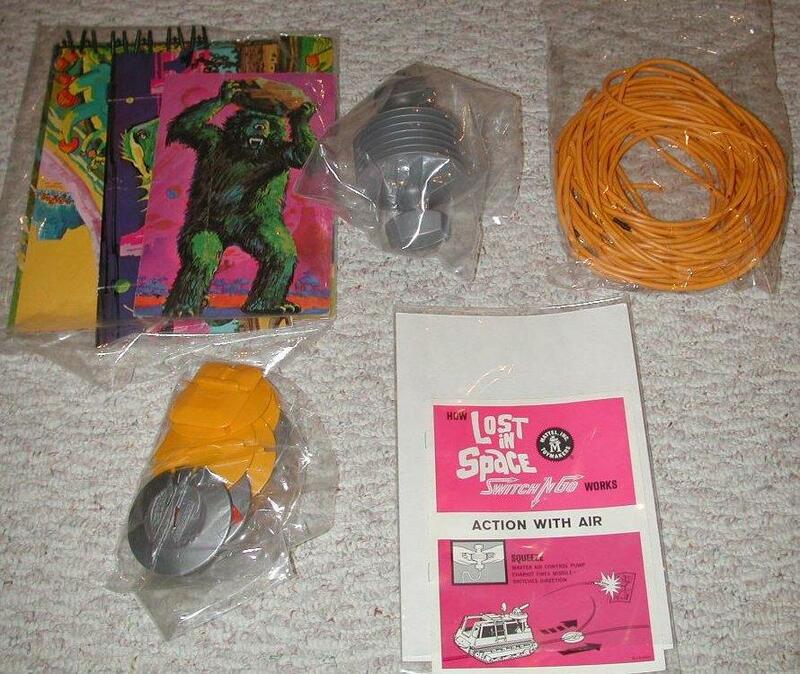 LOST IN SPACE Switch & Go Playset, Mattel 1966. 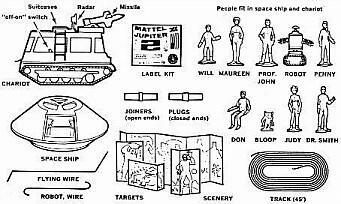 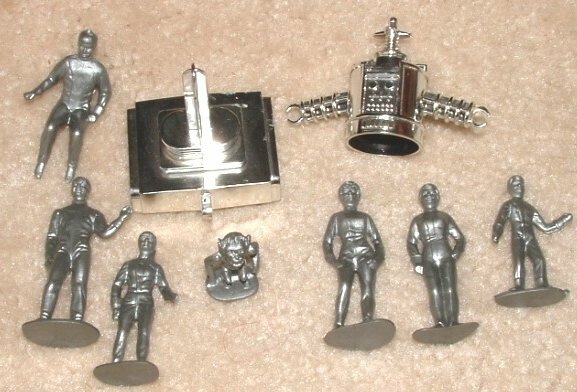 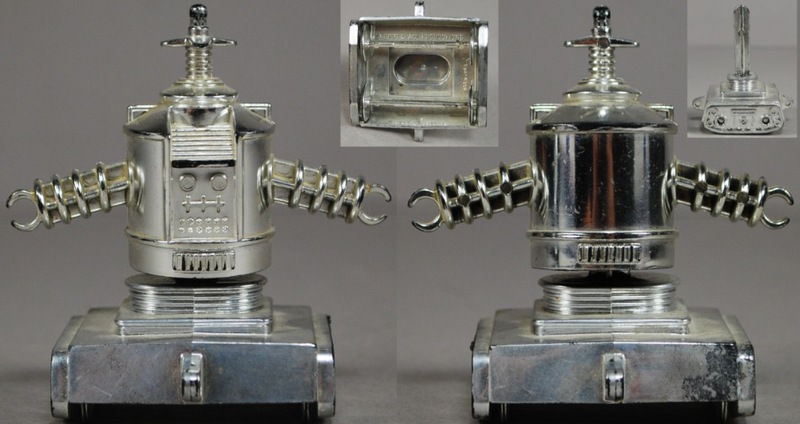 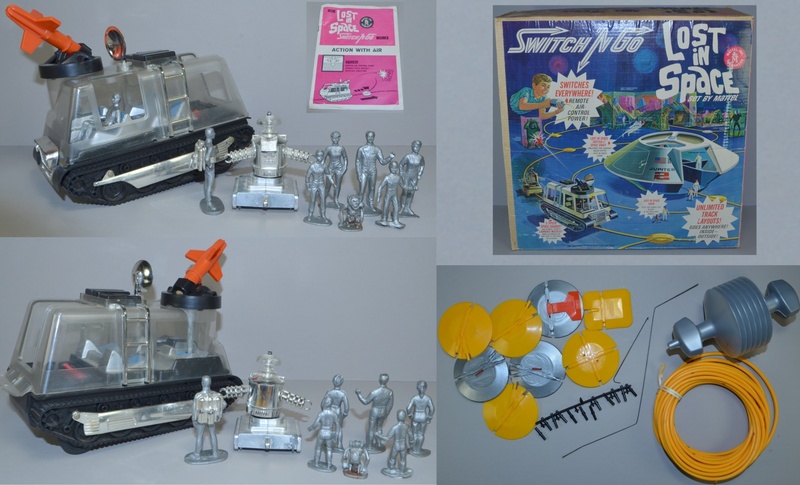 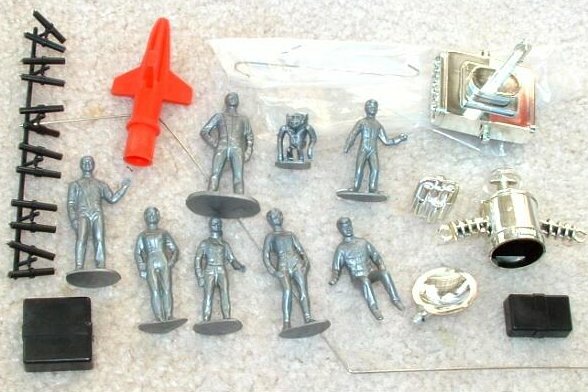 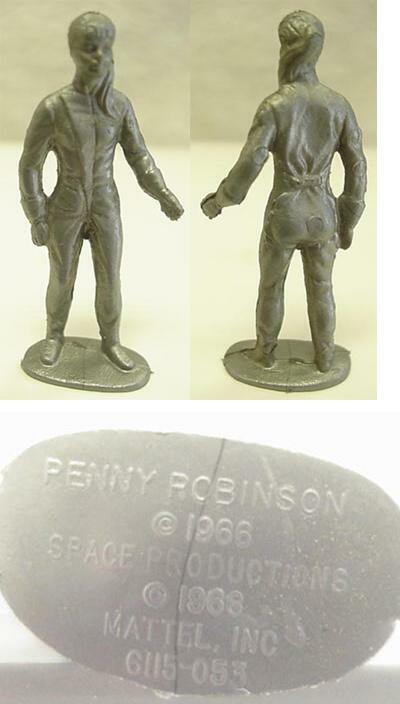 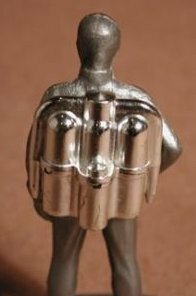 Set includes: 3" figures of Professor John Robinson with chrome Jet Pack, Maureen, Penny, Judy, Will, Don, Dr. Smith, Bloop, Robot (all these pieces are in mint condition); Space Chariot, mint, works, complete with Radar Dish, Suitcases, Missile, Flying Wire (so Prof. Robinson can "fly"); four Main Scenery & Target Pieces (very minor wear, display superbly); Track, Joiners, Plugs, Air Pump, Switches, etc. 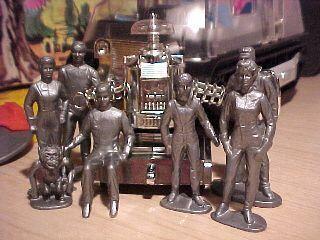 (these are all in excellent condition, most of the plugs and joiners are even still on the sprue!). 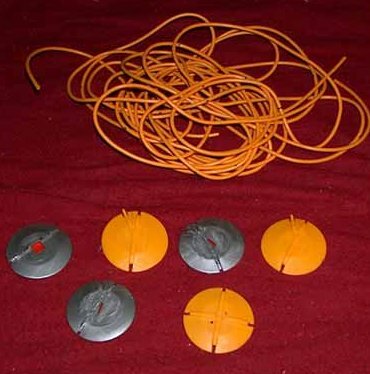 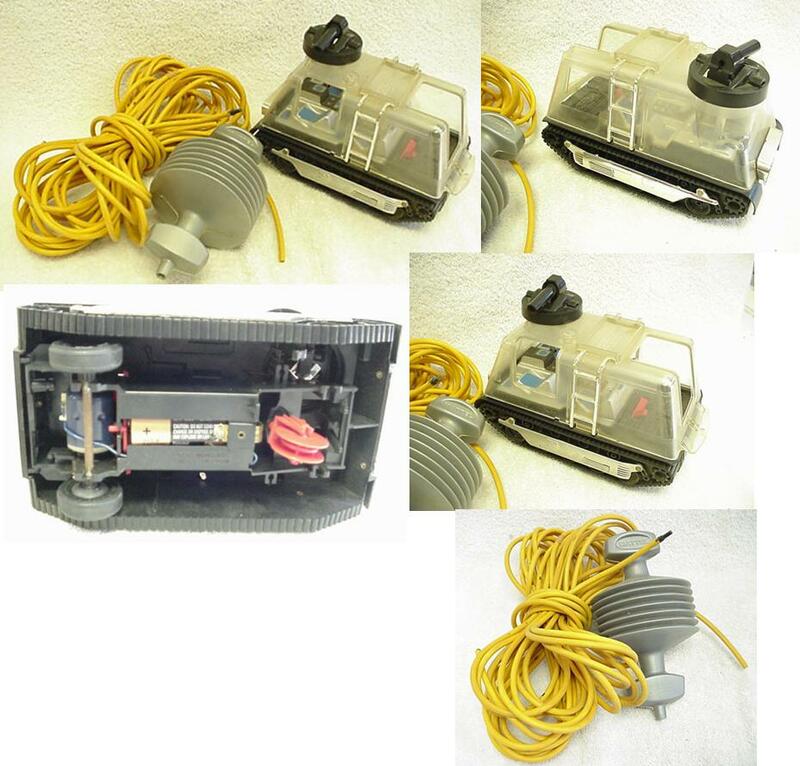 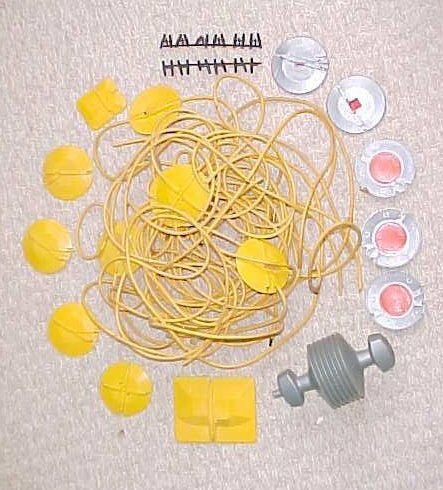 [Note: set includes two yellow Y-connectors, instruction book says there should be three -- but it is believed this is a misprint, as illustration of suggested layout indicates only two.] 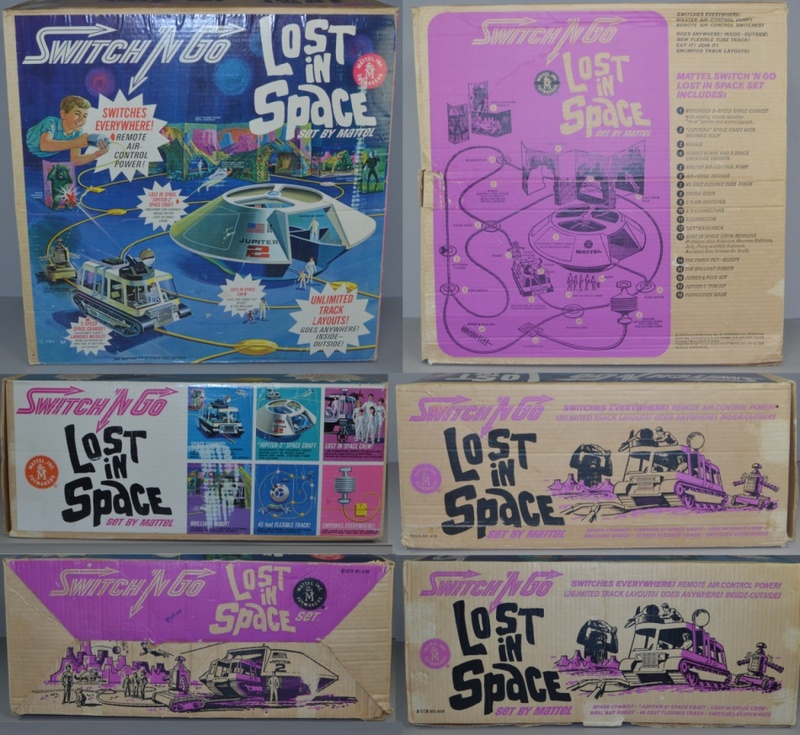 Original instruction book is in excellent condition. 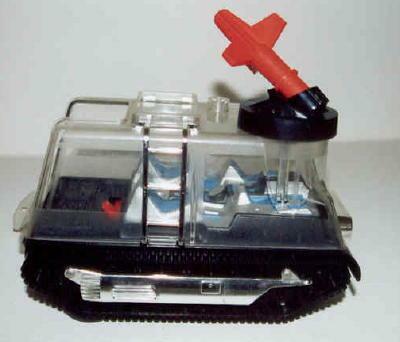 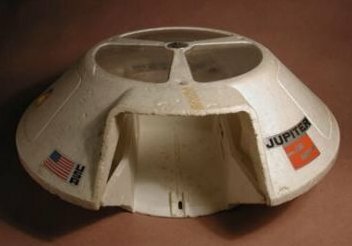 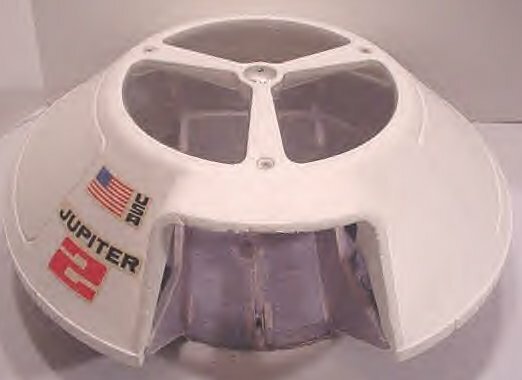 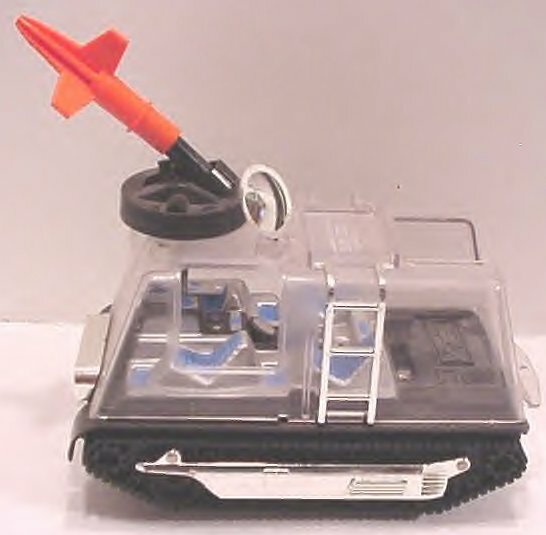 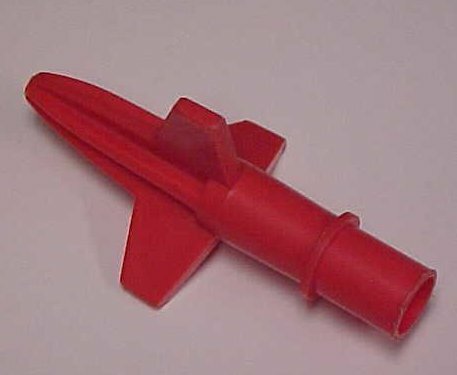 The Jupiter-2 Spaceship itself; it is made of delicate styrofoam, consisting of an upper and a lower half, combining to create a vehicle which is apprx. 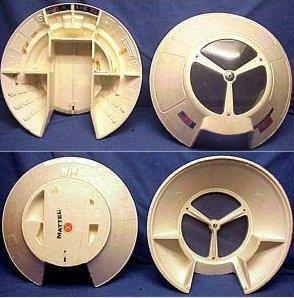 17.5" diameter and 14" tall. 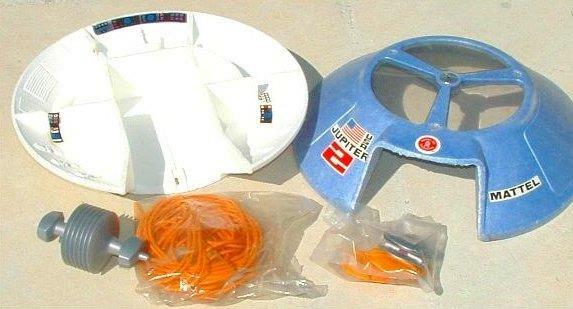 The overhead clear plastic windows are in excellent condition, and most of the decals have been applied. 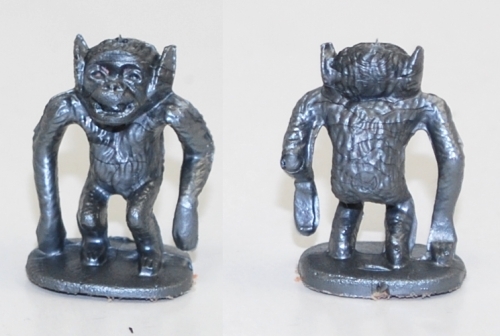 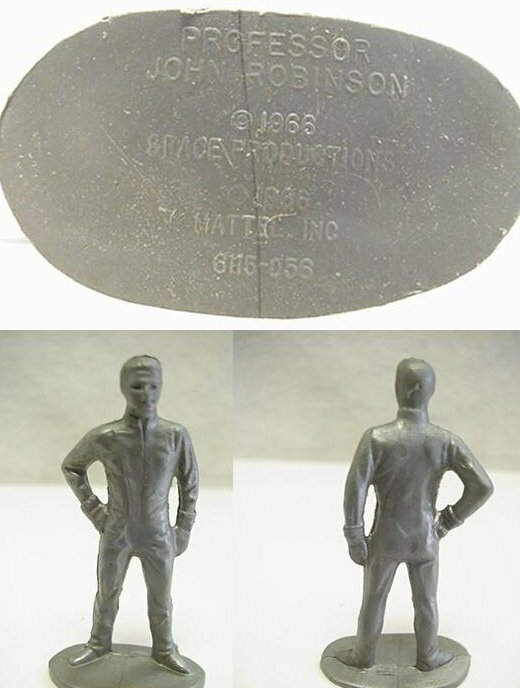 Included are some additional decals which may be applied (most of the decals have light to moderate wear, some age darkening). 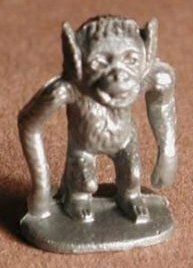 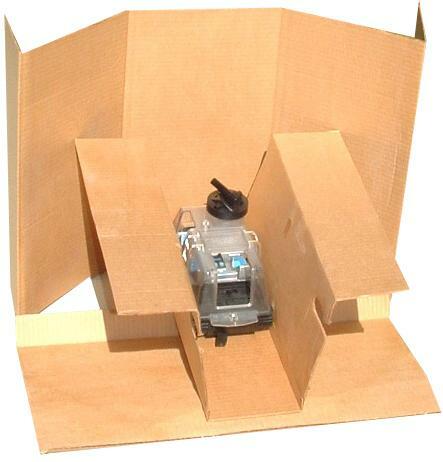 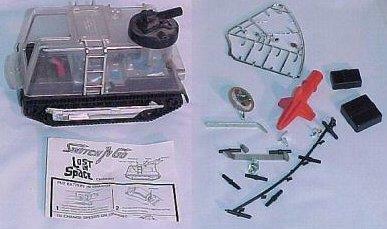 The toy comes with the original Sears shipping carton, a plain brown corrugated box, 20"x20"x9", nice condition. 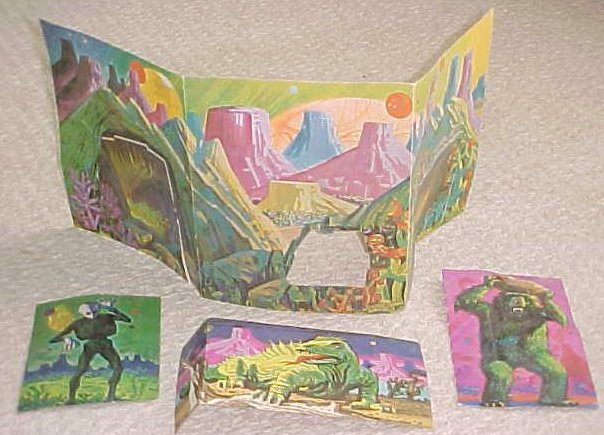 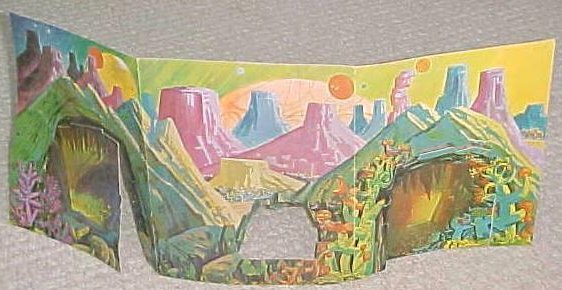 One side of box has a full-color laser print of the instruction book cover; this may be removed without too much difficulty if so desired. 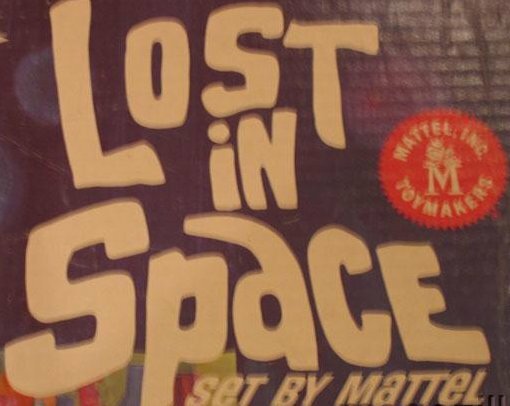 The top of the box has a small ink stamping: SEARS Stock No. 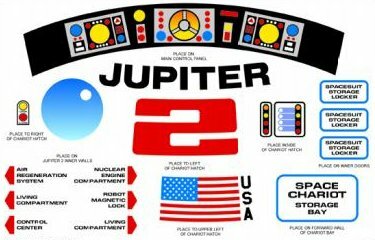 2032/ Stock No. 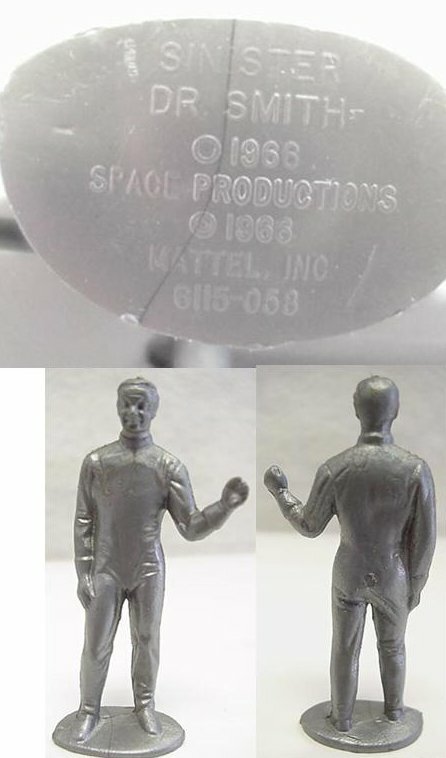 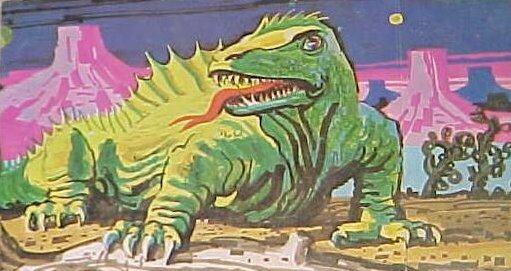 6115.